Ill. Brother Bickel was born on January 22, 1922 in Louisville, KY to Herman B. Bickel and Anna E. Callahan Bickel. His mother passed away when he was just one year old, so his grandmother and aunts helped his father to raise him. Ill. Brother Bickel attended Louisville Male High School in Kentucky, Elmhurst College in Elmhurst IL. Eden Theological Seminary in St. Louis Mo. Where he got his bachelor of arts degree and Master of Divinity and met his future wife Bernice. Ill. Brother Bickel and his wife married on June 9, 1945 they had two sons Daniel E. Bickel in 1947 and James Barry in 1957. He pastored at various churches in his lifetime. In addition to his ministry, Gene was active in his Masonic lodge, the Scottish Rite and Hadi Temple in Evansville Indiana. Brother Bickel received his Thirty-Third degree in St. Louis, MO in 2003. Ill. 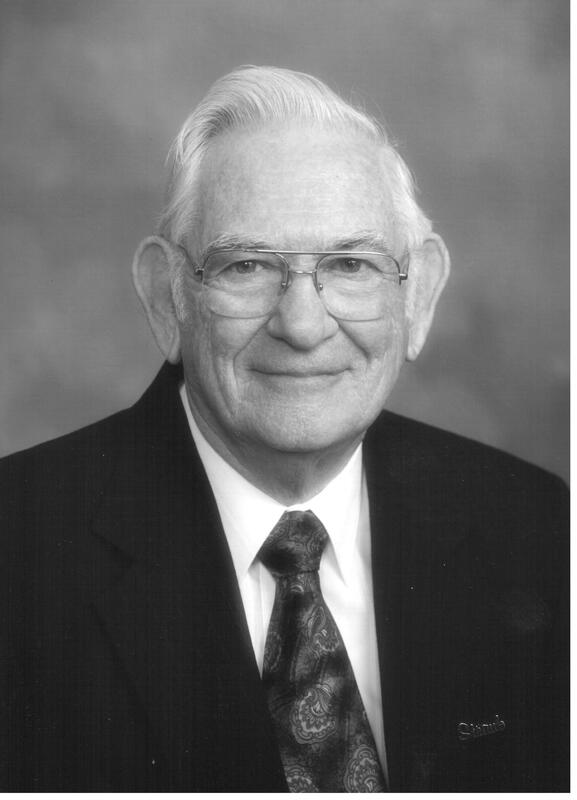 Brother Bickel was a much-loved brother, father, uncle, grandfather, great-grandfather, uncle, and friend. Known for his faith, kindness, and humor.